He wants three Senators to come up with a “terrific, beautiful” healthcare plan. What Trump is actually doing is accelerating the day when Single Payer becomes reality. Stick with me here. The President doesn’t know the difference between tax policy (deductibility) and healthcare benefit design (deductibles). Unless, of course, he was referring to the deductibility of health insurance premiums, which many think is “ridiculously high”. Except, of course, Trump wasn’t. Many may say, “yeah, that’s just a typo”, or “doesn’t matter, we know what he meant”. And those many are dead wrong. Trump – and his gang of three who are supposed to come up with a new Great Healthcare Plan – don’t know anything about the healthcare problem in this country, what’s driving it, how financing works, how people are affected, what the tradeoffs are, or anything else. Healthcare is enormously complicated, accounts for 1 of every 6 dollars in our economy, employs 16 million Americans, and is deeply personal. The GOP has never come up with any plan that remotely addresses the problem with healthcare, namely prices are too high, many can’t afford insurance and quality is spotty at best. Their go-to solution – the free market – is no solution at all. 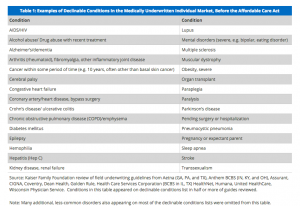 In the “free market”, no insurer is ever going to insure your pre-existing condition, nor will it ever cover your kids to 26, nor will it pay for all your care no matter how sick you are or how expensive it gets. About 5 minutes after Trump’s gang of three starts working on their Great Healthcare Plan their heads will explode. They have no idea what they are doing and a real solution requires them to abandon long-held fictions about healthcare and the economy. Which is why Trump’s Great Healthcare Plan will make Single Payer reality. Another crazy busy week is coming to a close, and its time to catch up on what I missed, didn’t get to, or just figured out. 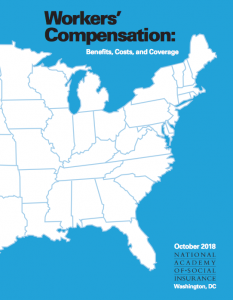 I know what you’re doing this weekend…you’re going to be poring over NASI’s annual report on workers’ compensation which just hit the virtual newsstand – and you need to get a (free) copy. For those unfamiliar with the report, it is the only comprehensive, national report that provides detailed, state-by-state financials on medical and indemnity spend by type of payer. Along with a treasure trove of other great info. The big news – total work comp medical paid in 2016 dropped (!) 0.3% from the previous year. Work comp spent just over $31 billion on medical in 2016. What’s driving the decrease? I say a big contributor is reduced spending on pharmacy, which I’ve been tracking for 15 years. Notable – WorkCompCentral’s William Rabb teased out one major issue – the worker-unfriendly government in Michigan’s efforts to cut benefits for workers resulted in a 15% drop in benefit payments. Ouch. Kudos to Accident Fund’s United Heartland for talking about the good work they do helping patients recover. I’ve had the honor of working with folks at AF and United Heartland in the past – they are good people focused on doing the right thing. Healthcare costs are almost $20,000 per family. 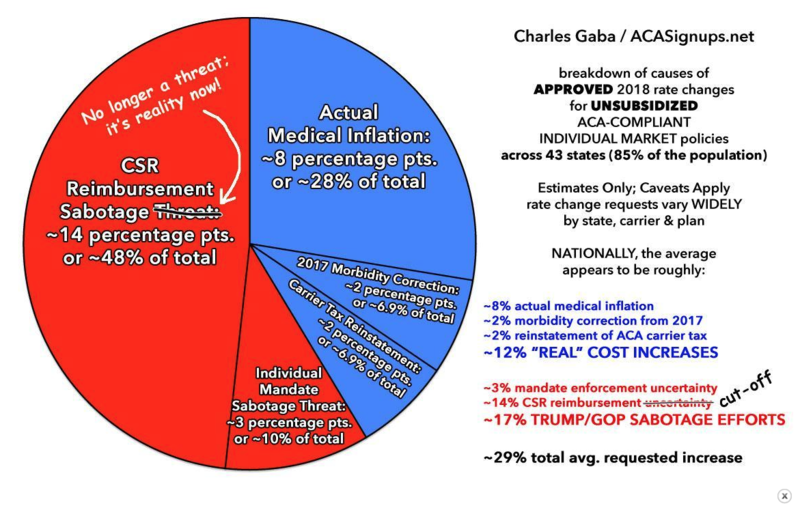 While premiums in the ACA marketplaces have stabilized, the reality is premiums would be significantly lower if the Administration hadn’t stopped making cost sharing payments and Sen. Marco Rubio R FL hadn’t cut off the funds needed to help start-up insurers compete with the big boys. Rubio’s action singlehandedly killed off several new insurers founded to offer competitive insurance…so much for the “free market”! Last, this drives me NUTS – managers, execs, supervisors who use the “I” word all the time. There is no “I” dammit. There is only “we”. This is not about you, your feelings, your work, your anything. It is about everyone working towards the same goal, and when you say “I did this” or “My results were X” you denigrate the contributions of others, make them less likely to work to achieve future goals, and send a signal that you have a fragile ego that needs stoking. Are claims that “Medicare for All” will hurt Medicare accurate? Verna fails to explain how MFA is fundamentally different from Medicare as it exists today – and therefore would somehow become this “government-controlled healthcare” monster. In fact, the MFA proposals consistently support keeping the core of Medicare the same, just expanding it to include the rest of us. Recall that her boss, President Trump, and the Republicans in Congress proposed a budget that would cut $537 BILLION from Medicare over the next decade. I’m hard-pressed to figure out how cutting over a half-trillion dollars from Medicare will “strengthen” it. Finally, she says C) “Let’s learn from the mistakes made in Medicaid when the Affordable Act pushed millions of able-bodied Americans into a program designed for pregnant women, children, aged and those with disabilities, only to then incentivize states to serve the able-bodied before protecting Americas most in need. It also didn’t favor those new Medicaid members over current ones – that’s just not true and is a blatant mis-characterization of the law. I’ve been waiting for the current Administration’s national strategy/plan to fix healthcare. If this is symbolic of their thinking, we’re going to get MFA sooner than I thought. 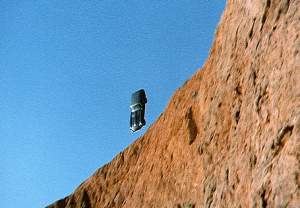 The US healthcare “system” is headed towards a cliff, and when it hits the edge, Medicaid may well be the replacement. There are two ways this would work – Medicaid for All (MFA) becomes the way all of us get coverage, or Medicare remains in place for elderly folks and Medicaid covers everyone else. It’s entirely possible employers continue providing basic healthcare coverage, but really, do they want to? It’s expensive and a pain in the neck. Instead, employers will be able to offer supplemental insurance (similar to what happens in Canada, the UK, and other countries) as an employment benefit. Today, Medicaid comes in two general flavors – “classic” and Managed Medicaid. Classic is fee-for-service Medicaid, where members can go to any provider that accepts Medicaid. Providers are paid on a fee for service basis, at rates that vary greatly between states (states set reimbursement). Managed Medicaid is an option in almost every state. The states contract with healthplans to provide integrated Medicare and Medicaid in what are called “dual eligible” programs (members are eligible for both Medicare and Medicaid). The Managed Medicaid (MM) plans are paid on a capitated basis – that is, a flat fee per member. That fee is based on the health status and health risks of the members; the sicker the member is, the higher the capitation amount. Today, states with these plans in place enroll members in different ways. Some randomly assign members to plans, others allow more assertive competition among the plans for members. I’d expect this to continue under Medicaid for All; existing enrollment processes would be expanded, systems upgraded, and communications refined to address the broader market. Every fall, MM plans would compete for members, enrolling them before the end of the calendar year. Funding would be a combination of service-based fees (copays and co-insurance), payroll taxes, federal funds, and perhaps general state funds. Remember, as employers would no longer have to deliver health insurance, those dollars could be spent on higher wages, to offset payroll taxes, or for other purposes. Similarly, individual payments for premiums, high deductibles and the like would be eliminated, altho some of those “savings” would go to higher payroll taxes to cover Medicaid for All. Provider reimbursement would be up to the MM plans negotiating with providers – who would remain independent (unless they are employed in a health system that is also a MM plan provider). However, FFS Medicaid reimbursement would be increased to mirror Medicare’s rates. US healthcare is not sustainable. Period. Family health insurance premiums are nearing $20,000, the number one cause for bankruptcy is medical debt, Medicare and Medicaid are the largest chunks of the federal budget, and industrial competitiveness is hampered by healthcare costs which are double the average costs in other countries. And, 74% of Americans are worried about losing their insurance. So, we can either keep driving off the cliff, or take an alternate route. One that will be very rocky, cause a lot of headaches and heartache, disrupt businesses and families and providers, but one that sooner or later, we’ll have to choose. Note – happy to engage in fact-based, citation-supported conversation. “I heard this” and “everyone knows” arguments are not helpful. When Single Payer becomes the law of the land, Medicaid will be the foundation. 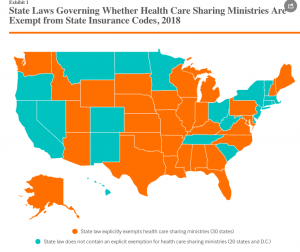 We’ve looked at the current push for Medicare for All, the factors that I believe will drive us to some form of single payer, and posted a primer on Medicaid. Here’s why it’s going to be Medicaid for All. Medicaid for All will spread the cost of universal coverage across states, reducing federal financing requirements. Medicaid is already built to cover everyone. Medicare covers people of all ages, Medicare is very much elder-care focused. Adapting Medicare to handle everyone from newborns to elderly, maternity care to pediatrics will be difficult, time-consuming, and expensive. Medicaid does all this and more – today. Generally, Medicaid is less expensive than other “systems”. This is due to much lower provider payment and significantly lower administrative costs. Yes, this means providers are going to be paid less. 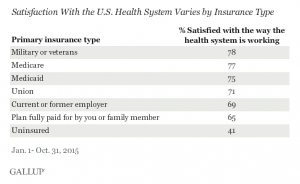 Medicaid member satisfaction is pretty good; access to care is not much of an issue. Medicaid-based Exchange programs are much more successful in the Exchanges than commercially-based plans. The Centenes et al [Medicaid-based plans] understand the demographics of the uninsured, have lower medical costs, and already have provider networks, customer relations operations, workflows and processes set up and operational. At the end of the day, lower cost wins – and their costs are lower. Medicaid is a simple, fully-integrated healthplan. Medicare’s alphabet-soup of Parts A B C and D is confusing and convoluted, with different payers often covering the same individual. This increases administrative costs, member hassles, and decreases quality of care (co-ordinating pharmacy and medical care between different payers is problematic at best. 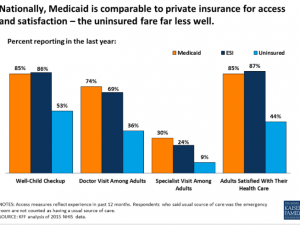 Managed Medicaid plans are working. Tomorrow I speculate on how Medicaid for All will integrate with Medicare and employer-based coverage. Better care, lower costs, while a big impact on pharma, device companies, healthcare systems, and healthcare providers. Yesterday we gave a brief overview of Medicare – the various parts and pieces. Today – what exactly is the plan, who would pay for it, and how much would it cost? repealing tax exemption for premiums etc. 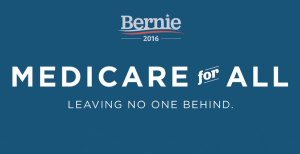 Sanders’ plan would enroll pretty much everyone. it would do this by setting flat reimbursement rates – today employer plans pay about 40% more than Medicare, and much more than Medicaid (generally speaking). However, reimbursement would be higher than today’s Medicaid rates. MFA would be phased in over four years. That’s a tough one – the CBO won’t score it. Bernie and other advocates, claim savings would be higher – so the total cost would be lower. However you slice it, you have to remember that employers and individuals would no longer be paying over a trillion dollars for healthcare every year via payroll taxes and premiums and deductibles and copays. And yes, you’d save a lot of money by reducing provider reimbursement to Medicare rates. Who and what gets disrupted? Insurance companies. It isn’t clear who would administer this program, perhaps the current companies that handle much of Medicare. 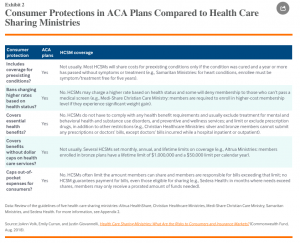 However, many or most commercial health plans, Medicare Advantage plans, Managed Medicaid plans (disclosure I am on the Board of one – Commonwealth Care Alliance) would shrink or disappear entirely. Revenue Cycle Management – this huge industry would become obsolete overnight. Pharma – Bernie would negotiate with pharma and medical device companies – as every other country does – to get the lowest possible prices. Remember – the US healthcare system is enormously inefficient, overall delivers mediocre-at-best results, and is not sustainable. Opponents of MFA would be well served to come up with a better answer than MFA, because that MFA is getting traction. Why isn’t anyone talking about health insurance costs? A couple years ago, we heard endless stories about how “Obamacare” premiums were shooting up, individual health insurance was unaffordable, and families were going bare because the morons that came up with the ACA screwed it up. Now, with average premiums up 30 percent, we hear…crickets. The reason premiums have gone up by about a third is simple; President Trump stopped the payments that subsidized low-income folks and insurers are scared he’ll stop enforcing the individual mandate. Unsurprisingly, many people dropped coverage, and insurers had to raise premiums because their risk pools worsened. If CSR payments were still in place, and insurers assured the mandate would be enforced, premium increases would be less than half they are today. What’s scary about this is how easily the media’s focus is influenced by outside efforts. Instead of informing us of this very real, and very important issue, the media is all wrapped up in arming teachers, death penalties for drug dealers, and Stormy Daniels. A reminder that all of us have to stay focused on the important stuff, not the shiny objects. I received several emails from readers challenging my statement Friday that the GOP tax bill will result in higher health insurance premiums. Here’s how. Both the House and Senate versions of the bills end the penalty for those who don’t have health insurance. This penalty does 2 things; it financially penalizes those who go without coverage, and it generates funds that help pay for healthcare for others. What the tax bills DON’T do is change the requirement that insurance companies cover anyone who applies. 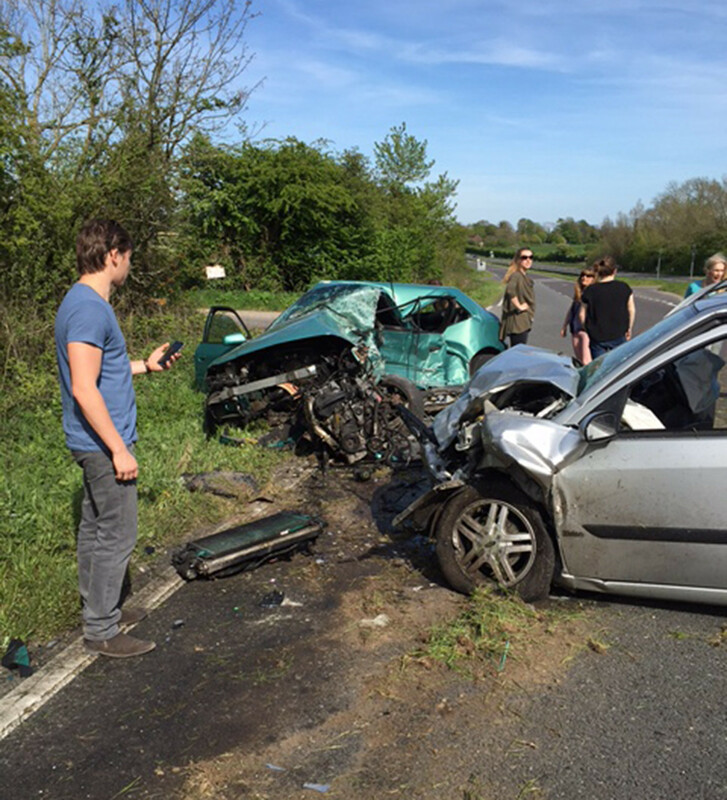 Imagine if you were able to buy auto insurance after you crashed. Why would you bother to sign up and pay those premiums if you didn’t have to? BTW, there’s a ton of research and history that shows what a bad idea this is, how much damage it does to insurance markets, and what we can expect. Folks, this is just ONE example of the dumb ideas in this bill, from people who claim to understand how the free market works. Insurance rates are going to go up.